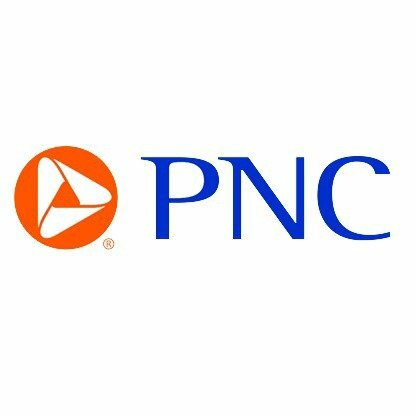 The PNC Financial Services Group, Inc. (NYSE: PNC) stocks fell 5.58% on 12th October 2018 (Source: Google Finance) but slightly recovered today by 0.2% (as on October 15th, 2018; Source: Google finance). The bank’s overall growth rates, which were lower than expected led to the stock momentum. During the quarter, consumer demand deposits decreased somewhat, reflecting seasonal consumer spending. Therefore, the firm stressed on their strategic priorities and reported net income of $1.4 billion, or $2.82 per diluted common share. Total loans grew approximately $700 million linked-quarter and $4.1 billion compared to the same quarter a year ago. The Investment securities of $80.8 billion increased $3.3 billion, or 4% linked-quarter. The group’s cash balances at the Fed averaged $18.8 billion for the third quarter, down $1.9 billion linked-quarter and $4.6 billion year-over-year. Deposits were up 1% on both the linked-quarter and year-over-year basis. But the Basel III Common equity Tier-1 ratio was estimated to be 9.3%, down from 9.5% as of June 30, 2018, reflecting continued capital return to shareholders and a decline in accumulated other comprehensive income. The group maintained strong capital ratios as they returned $914 million of capital to shareholders and they repurchased 3.3 million common shares for $469 million and paid dividends of $445 million. The return on average assets for the third quarter was 1.47% and average common equity was 12.32%, and on tangible common equity was 15.75%. The tangible book value was $73.11 per common share as of September 30, an increase of 5% compared to previous year. Average loans were up approx. $700 million linked-quarter and $4.1 billion, or 2% compared to the last year. Commercial lending balances increased approx. $200 million compared to the previous quarter. Deposits increased by $3 billion, or 1% compared to the last year. On a linked-quarter basis, deposits increased $1.5 billion. Revenue was up 1% linked-quarter, driven by growth in both net interest income and fee income. Noninterest expense increased 1% compared to the previous quarter, reflecting higher business activity. Importantly, fee income grew 1% linked-quarter and 8% compared to the same quarter last year. The main drivers of the linked-quarter fee increases were: asset management fees, which include our earnings from our equity investment in BlackRock increased $30 million or 7%, reflecting higher average equity markets. Third quarter expenses increased by $24 million, or 1% linked-quarter. Personnel expense increased $57 million linked-quarter.